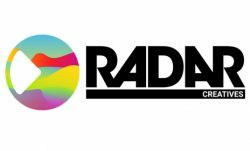 Our Marketplace partner, Radar Creatives, have recently launched a new tool allowing commissioners to search creative profiles to find talented designers, artists, filmmakers and the like. With more info on this update, we have Lizzie Cooley from Radar with the guest blog post below. As a current artist or band working in the music industry, you certainly need a lot of content to keep your marketing campaign alive these days. Leading content commissioning platform Radar Creatives share five essential assets you’ll need to hit the ground running with your next single campaign. From promo shots to live photography, photos are great and necessary content for your marketing campaigns. When it comes to promo photos think of eye-catching ideas for your concept. Music blogs receive hundreds to thousands of emails a day and having photos that stand out is often cited as the reason for why they choose to feature an act. Avoid shooting in black and white. We know it can look amazing, but print press ALWAYS ask for colour! So ask your photographer for some black and white versions for your socials – but never lose your full colour options. Aside from these more official shots, it might be worth capturing photos (or even a 360° shot) in the studio or backstage pre-show too, as this content is a real asset for your social channels. Your music video should be at the center of your campaign and can be used to get exclusive premieres, increased reach on your socials and obtain numerous placements on blogs. Aside from this main video, you should also consider a lyric video and a live session video as these assets will help your campaign run for longer with a more effective reach. Aside from video assets landing opportunities for premieres and blog placements, this content is also fantastic for social channels as video is favoured in many algorithms. Whilst we now live in a digital world, visuals around your music are surprisingly more important than ever. Great single art will open more doors for your campaign not just in music press but creative press too. Plus, single art continues to share visually stunning content or teaser messaging for social channels such as Instagram. Making sure you have eye catching social covers and profiles is something that can often be forgotten in your release campaign. By creating a few exciting social covers, you can build excitement and momentum ahead of your release and show yourself to be a professional and credible artist. A must for your social media, the humble gif. From promoting your single release to a live show, gifs are a fun way to engage with your fan-base. So that’s our 5 most essential content assets you’ll need for your next release. Want to commission the best creatives to help you achieve great results in your next campaign? Browse Radar’s talented creatives now! This post is brought to you by Radar Creatives. Radar is the biggest & best creative directory of filmmakers, designers & photographers for music marketers worldwide. We’d love to hear from you – Post your brief here or contact [email protected].